Alex and Brendan watch the new neighbours arrive and hear a load groning noise coming from a box marked “fragile”. That night, Alex hears a wailing noise from next door. The next night the boys campout. 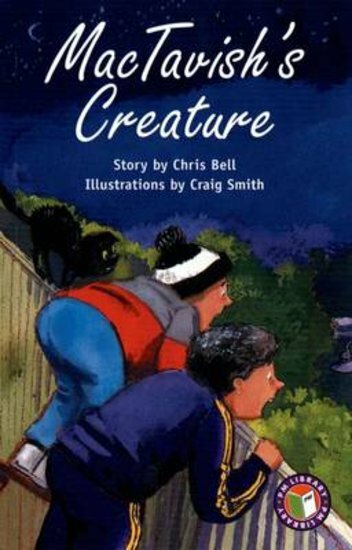 When noise starts they see the new neighbour, Dr MacTavish, wreatling with a strange creature. One night later, Alex trys to photograph Dr MacTavish with the creature, but Dr MacTavish grabs the boys and takes them inside. The boys explain that they thought Dr MacTavish had been torturing a creature. Dr MacTavish reveals the ‘creature’ – his bagpipes!